I have never really considered myself a “courageous” person. I rarely take risks, I generally like to play it safe. I like comfortable. I like routine. I thrive better that way. However, I do take living with integrity and living by my values as very important. This has forced me to “choose courage over comfort” as Brene says, numerous times in my life. My integrity and my values are very important to me. And so, if I want to respect those things, I have to live that way. I can’t compromise. Simply saying, “I am a loyal friend” means nothing unless I am practicing that. Saying I value relationships means nothing unless ‘I am showing up in these relationships, in good times and bad. Living this way takes immense courage. I don’t mean the type of courage to go on a sailboat ride when you are scared of the water, or fly in a plane when you are terrified of flying. Although there are similarities in this type of courage, I’m talking about the courage to continue to show up for the people in our lives. Courage to forgive an offense. Courage to take a deep breath and think the best of someone. Courage to not let our hurts and past get in the way of a right now relationship. Courage to open ourselves up and dig deeper when you don’t think you can show up emotionally for that person any more. It takes immense courage. However, what is the flip side? Sacrificing our values? Not living with integrity? I’d rather choose courage, choose the right, choose integrity and choose my values over a half assed attempt at courage. Back in early 2005, the ancient days of blogging, I hesitantly began a blog on blogspot and called it "Ruminations of a Birch Mama". That cumbersome and annoying name soon transitioned to a place I called "The Flourishing Mother". I blogged there for 8 years, and in 2013, felt I had no more to say, and stopped. Going with the latest trend of naming your website after yourself, I decided to create another online space this year. A place to share my thoughts, preach to myself, and share the lovely. My life looks a lot different than it did when I blogged in the cracks with 5 young children. I'm in a different place in my life and my writing reflects where I am now. I am so grateful for this space and love that it grows and changes along with me. You can read more about me in my About page. I hope to write about searching for beauty in our lives, as well as living in the truth that God has given each of us, individually. I love exploring how to live an artist life as a busy mother, and the new landscape of modern mothering. What is under all of this is my deep commitment to Christ, and how my faith in Him is integral to every aspect of my life. PS. Be sure to subscribe to my blog so we can stay connected! You will receive my seasonal newsletter, as well as three illustrations by friend and artist Karen Schipper depicting modern mothers. 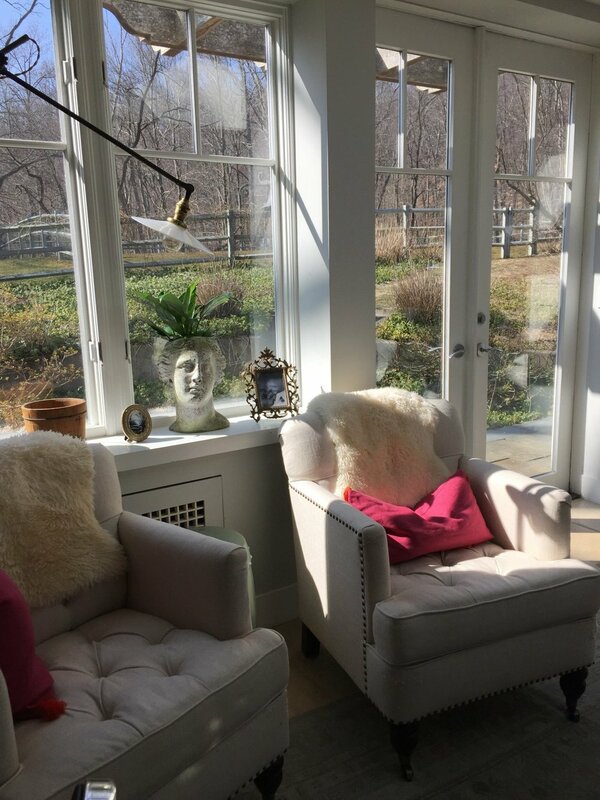 Many thanks to Erin Nausin of Primavera Studios for collaborating with me to create this space. She was so easy to work with and so talented! The beginning of the school year, for me, offers a chance to begin again. It offers a new start, and rightly so, it is a Beginning for many of us. So, being the person I am, I embrace this chance to re-assess, re-evaluate, gather myself, and look forward to what’s ahead. Right now also marks the time where, a little over a year ago, a special person to me dropped out of my life. This was a friend in which I was very close with. The level of trust was so deep, that many times, before sharing the deepest parts of myself, I would preface it with “tree of trust, right?”. This meant, “you’ve got my back, right?” “you love me no matter what I share or how I act, right?”. That’s some deep level trust that you don’t just have with anyone. Vulnerable trust. I honestly to this day don’t understand the full extent of what happened, and that grieves me. It’s been very hard to move on. I’m not sure why. Partly my personality of wanting closure and understanding, but also I think when you invest yourself into a person and a relationship for so long, it’s hard to entangle yourself. At least for me it is. It’s sad, and painful and confusing to let go. There came a time when I had to stop dwelling on it all and move towards healing. For my own sake and sanity. It took many anguishing days and nights, but I had to move towards patience and prayer. I had to make peace with the person who hurt me. I say I was able to offer grace and forgive, but this was not done without a fight. The human spirit wants immediate gratification, justification and the insatiable need to come out on top. Offering grace is meekness and humbleness. It’s choosing to say “I don’t need to understand your motives, I don’t need to be right, I don’t need to explain my version.” In fact, I don’t need anything at all because I have Jesus. Moving towards grace, living a #gracefilledlife, (which, after much wrestling and resistance, is actually a very free place to live), also opens us to seeing about what the Lord wanted us to learn from all this. If we have eyes to see, He will teach us valuable lessons through heartache and trial. I can say I am grateful for all I have learned. Texting is not the medium I want to have emotionally charged discussions. It’s also not the place where I can understand someone’s explanations. It’s also never a place to have an honest conversation. So much is lost in translation: body language, tone, even words are misunderstood. I will never have a serious back and forth through texting. It never turns out good. That I have to give up my right for understanding in relationships. It’s actually not a right. Any misunderstandings or arguments I’ve had with people I love in my life usually involved honest discussion in order to figure out what went wrong, try to understand each other and move on. I realized that not everyone is like that and that I have to give up my right for that and offer grace again. I want to do a good job of loving people. I have learned through this experience that to live bravely and wholeheartedly is to live my truth. I won’t let others dictate how I will respond in any situation. My goal is to live truthfully and wholeheartedly and be true to myself in any given situation. This was so freeing to me and really taught me self-compassion. 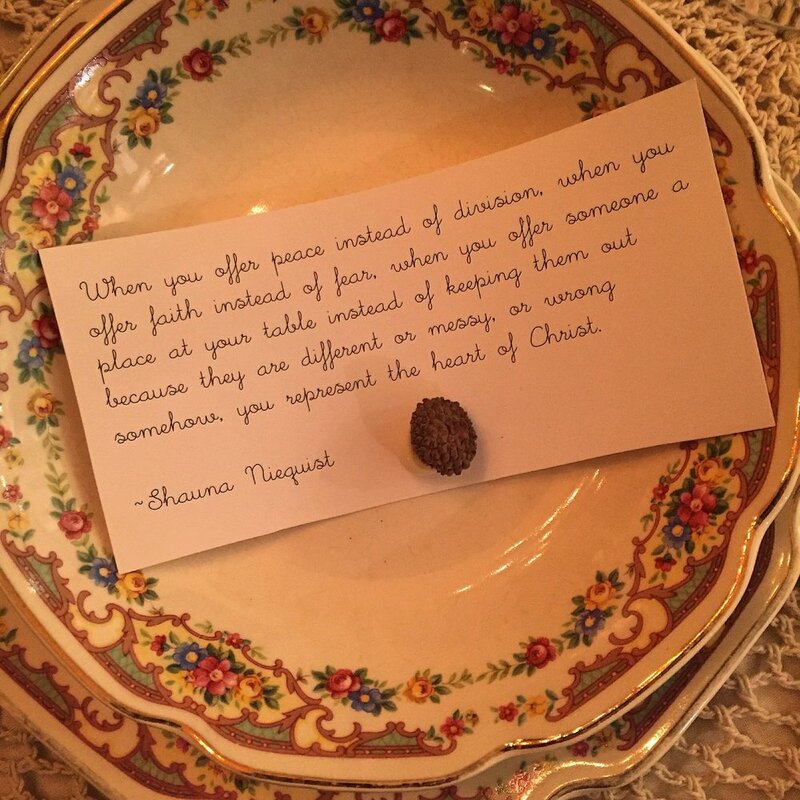 This experience has also taught me that I want to live a #gracefilledlife. Anything that touches me or speaks to me and I want to share on social media, I tag with #graceliving and #graceupongrace. Living in His grace is a peaceful place to be. I need to be constantly reminded of His grace. How quickly we forget! And lastly, I have learned (once again) that suffering produces growth. Anne Morrow Lindbergh says, “I do not believe that suffering teaches. If suffering alone taught, all the world would be wise, since everyone suffers. To suffering must be added mourning, understanding, patience, love, openness, and the willingness to remain vulnerable.” Despite the pain and confusion of losing a friend who was dear to me, I am still willing to be vulnerable. I still have hope. I still have hope that perhaps one day, a mending of this relationship can be done! And that lesson of hope is as good as gold. Without time to honestly access our hearts before the Lord, we can easily go through life unhinged and untethered to the very Life that sustains us. Living a life of introspection is important, and necessary. The contemplative life is necessary to understand God’s truths as they relate to our own personal lives. 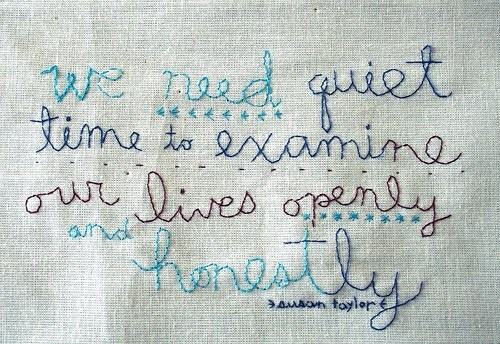 This can truly only be done in quiet spaces and open time as we can get it. Trust in the Lord with all your heart, and lean not on your own understanding. In all your ways acknowledge Him, and he will direct your paths. There is a fine line in living in our introspection and examination of our lives without actually making those thoughts the gospel. All thoughts and examination should be brought to light within the truth of the gospel. Unfortunately, our modern life on the internet has contributed to bad habits regarding introspection and contemplative living. Facebook, Twitter, Instagram, Facebook live, YouTube, etc, ad nauseum force us to look at ourselves and sometimes reach deep from within in not so healthy ways. Do we have to be thoughtful or contemplative for the sole purpose of digital approval? Things to think about. We live humbly in the scheme of things. Too much introspection causes us to be laser-focused on our minimal, minuscule role in the world and in God’s purposes. Building our platform can raise ourselves to a level higher than what is intended. Living life online perpetuates that myth. We need to release our hold on a specific identity. In some ways, it is freeing to see that our identity that is created by our thoughts and introspection does not define us. What does the Bible say about us? We know we are not what we acquire and accomplish as much as what we have received. Living a life contemplatively in the light of His Word is a skill that takes effort as well as release. Release of who or what we identify with. Cultivating a life online can fool us into thinking we are our own thoughts or what we do, or our achievements or how well we express all of that. Rather, we are only whom God made us to be in His infinite love. And that is worth contemplating. I have always been one of those people with a slow processor built in my brain. Maybe it’s because I’m a hard dreamer, or maybe it’s because there are too many thoughts in my brain so it’s a little sluggish in there. Whatever the case, it’s who I am. Being a person who thinks deeply, makes decisions slowly, and takes awhile to work through emotions and issues is not something that is celebrated or encouraged in our culture. We see it in schools, where children are pushed to learn and grow without assessing each child’s different need for growth. We see it in the hustle of daily life: “get it done, push it down” all for the sake of productivity. We see it in relationships: “are you talking about this again?” “are you struggling with this again?” We aren’t taught to have patience with people’s growth. Thomas L. Friedman’s latest book, Thank You for Being Late, describes this hustle: “We are living at one of the greatest inflection points in history . . . . The three largest forces on the planet—technology, globalization, and climate change—are all accelerating at once” . While most people are “overwhelmed by it all,” Friedman argues, “in such a time, opting to pause and reflect, rather than panic or withdraw, is a necessity” . What we often don’t realize is that the hustle and the expectation to “get over it” misses so many important aspects of growth. It’s why it’s developmentally appropriate for a baby to crawl before they walk. They miss aspects of growth that maybe aren’t always necessary, but healthy. I’m done with quick fixes. I’m done with coming to terms, healing, struggling, understanding, growing on someone else’s time table. Someone else’s time table could be mine: expectations on myself. Or it could be someone else’s: someone tired of my same struggle, someone who wants to shut me up, who doesn’t want to “hear it anymore”, someone who can’t stand their own uncomfortable feelings about my process so they tell me to put up and shut up. I’m trying to learn the way Jesus gives us permission to grow slow. He doesn’t rush us into feeling, or decision. I’m learning He doesn’t “should” on us. He allows us to work through our emotions in our own time. There is no expectation from Him about needing us to “ship up or ship out” or to “put up and shut up”. We are not entitled to stew in our own misery and despair. The Lord always offers hope. But a day to the Lord is like 1000 years! Time does not mean anything to the Lord. He gives us as much time as we need for growth. But we can also be sure of the fact that despite how long it takes for us to process things, we can be sure growth and change will happen. We can be sure of that because the Lord wills it so. But I’m not going to be the one to will it. I’m not going to “quick fix” it. I may not “get it” the 1000th time you’ve said it. But I will get it as He walks gently and slowly with me, and as I grow into the person that He’s created me to be. “There is absolutely no reason for being rushed along with the rush. On days after tough elections, like yesterday, when it is hard to know what to think or do, the best way to proceed is to move forward. I feel like we have gotten confused on the best ways to do that. Some people despair. They lament, and cannot get out of their heads. Some cling to hope, choosing to see the positive. Some accuse and get angry.Others simply don’t do anything, because they don’t know what to do. I’ve done all of these. How do we move forward when all is messy, and confusing, and feels hopeless? When we need facts, and closure, and a clear way forward? I’m not just talking about election day woes, but in life in general. A lot of times, we don’t know how to proceed in relationships. There has been hurt, and confusion, and sound bites, and replays over words said. We can project our emotions about everything on the situation, and miss the big picture. A lot of times, we can make decisions about what’s going on in the world through sound bites, and Facebook posts, and people’s opinions heard over and over. It’s important to see the big picture. In both of these instances. I’ve had to delete texts, forget arguments, realize and accept misunderstandings, be humble, choose to dig deep in myself and be challenged to overcome every deep emotional, negative reaction, all for the sake of moving forward in peace and love. I’ve had to remind myself to look at the big picture and not the details so much. This holds true in so many situations. What is the truest thing about this situation? What is the best thing I can think about this person? When you don’t know what the big picture is, we can go to the Word of God, the Gospel of Jesus. What is the gospel and how can I live it and therefore share it in my own personal life? It could be choosing the good in the situation. Trusting in His goodness. Realizing that by Him dying on the cross for our sins (all of our sins) that He is in the business of redeeming and restoring. All things. It is not my job to change people’s hearts and minds in whatever capacity: relationships or elections. There is nothing I could ever say or do that would make that happen. My job is to share and live out the gospel in my own life, knowing that the Gospel is what changes people, and nothing else. And we live out the gospel, moving forward. This past year was a year of hard things. We all know, of course, that hard things are never expected. I, for one, expect a life of beauty, and meaning, and kitchen dishes put away and all the laundry caught up. This past year my husband took on new responsibilities at work. While it was a really great opportunity for him, we didn’t realize the impact it would have on our family and marriage until 6 months or so into it. That’s a long time to be living life, waiting, wondering if this thing is going to work out, or if it’s going to break you. I’m thankful we are on the other side, much wiser hopefully, but not withstanding, a little world weary and yes, dare I say it, cynical. As much as I’d like to let hard things make me world weary and cynical, there is another, harder choice. It’s the choice to keep believing the best, despite my pain and hurt. It’s sometimes letting people be who they want to be. It’s walking out of a hard year and looking in all the cracks where the sunshine shines: forgiveness and mercy and grace and love all in one. And sometimes, that is harder than the hardest things. Subscribe below to receive my seasonal newsletter filled with inspiration, ideas for artist dates for the busy mother, and fun finds. You will receive 3 beautiful free printables by artist Karen Schipper depicting the modern mother. © COPYRIGHT 2018. ANDREA BIRCH . ALL RIGHTS RESERVED.